A high school (also secondary school, senior school, secondary college) is a school that provides children with part or all of their secondary education. It may come after primary school or middle school and be followed by higher education or vocational training. The term "high school" originated in Scotland, with the world's oldest being Edinburgh's Royal High School from 1505. The Royal High School was used as a model for the first public high school in the United States, the English High School founded in Boston, Massachusetts in 1821. The precise stage of schooling provided by a high school differs from country to country, and may vary within the same jurisdiction. In all of New Zealand and Malaysia along with parts of Australia, Bangladesh and Canada, high school is synonymous with secondary school, and encompasses the entire second stage of education. However, those remaining high schools in Britain providing teaching from 12, rather than Secondary School, which starts at 11. In Australia, high school is secondary school, from Year 7 or Year 8 through to Year 12, varying from state to state. High school immediately follows primary (elementary) school; therefore, a Year-7 Australian high-school student is sometimes as young as 11. In Tasmania and the Australian Capital Territory, the term "high school" generally refers to Years 7–10, whereas the term "college" is used for Years 11–12. In Victoria the term "secondary college" has largely replaced the term "high school" following the reforms of the Labor Government in the late 1980s and early 1990s. Some schools have retained the name "high school" (such as Melbourne High School) and many have now dropped the "secondary" and are simply known as "college". In the Dutch speaking part of Belgium (Flanders) and in the Netherlands, the term "high school" is often confused with "hogeschool" used for non-university higher education; instead the Dutch "middelbaar" is used for secondary education schools, or "école secondaire" or "humanités" in French, which translates to middle and high school or secondary school. Students are required to attend from ages 12 to 18, scheduling between 32 and 36 hours of class a week. VMBO (Voorbereidend Middelbaar Beroeps Onderwijs, which roughly translates to 'preparatory career education"). Students are aged 12–16. It is compulsory for students who complete VMBO to continue to MBO. In Brazil, the term for secondary school is ensino médio ("medial education", Portuguese pronunciation: or ), which comprises the last three years of school. It is part of the Brazilian ensino básico (, "basic education"), which includes early childhood, elementary and secondary education (the latter two mandatory), all of those parts of the Brazilian public education that should be provided free, as obligations of municipal (only for early childhood and elementary education) or state governments, to all its citizens (including adults) as defined in the rights of the Constitution of Brazil, and the duration is ideally 18 years if one enters the Day care at its 0 year (pronounced , in Brazil this term is synonymous with nursery school or preschool). Recently Philosophy and Sociology, which were banned during the military dictatorship (1964–1985), became compulsory again. Educação física ("physical education", or gymnastics) classes are generally available and may be part of the Vestibular (both in theory and in practice) if one is disputing certain university courses. Other foreign languages, such as French or Esperanto, are also available in some cases. Informática (in this case referring to "computer science") and Música ("music education") are less common. Secondary and fourth education is divided in basic secondary (grades 6 to 9) and mid secondary (grades 10 and 11). The mid-secondary education (usually beginning at the age of 15 or 16) offers many different "tracks", which all lead to their own "Bachiller" after a curriculum of two years. Out of the usual academic curriculum (Bachillerato Académico), the students can follow one of the following technical tracks(Bachillerato en Tecnología o Applicado): Industrial track (Bachillerato Industrial), Commercial track (Bachillerato Commercial), Pedagogical Track (Bachillerato Pedagogico), Agricultural Track (Bachillerato Agropecuario), social promotion track (bachillerato de Promocion Social). In the Czech Republic, the term "high school" (střední škola, literally "middle school") can refer to the last four, six or eight years of secondary education. Typically, pupils in the Czech Republic spend 9 years at elementary school before going to high school where they study for 4 more years. However, children can decide to leave elementary school after Grade 5 or, less commonly, Grade 7 to study at a gymnázium (sometimes translated as grammar school), which is considered as a better preparation for tercial education, for eight or six years respectively. Even students aged 11–15 who attend a gymnázium are considered high schoolers since in this case, gymnázium is traditionally a significantly more rigorous equivalent to elementary school. Secondary education in Hong Kong is separated into junior and senior years. Senior secondary is equivalent to grade 10 to 12 which is compulsory for all students in Hong Kong. At the end of the senior secondary education, students will be sitting the Hong Kong Examinations and Assessment Authority. Education in Italy is compulsory from 6 to 16 years of age, and is divided into five stages: kindergarten (Scuola dell'Infanzia or Asilo), elementary school (Scuola Primaria or Scuola Elementare), middle school (Scuola Secondaria di Primo Grado or Scuola Media), high school (Scuola Secondaria di Secondo Grado o Scuola Superiore) and university (Università). Italy has both public and private education systems. In Italy a state-run school system has existed since 1859, when the Legge Casati (Casati Act) mandated educational responsibilities for the forthcoming Italian state (Italian unification took place in 1861). The Japanese word for a high school is kōtōgakkō (高等学校; literally high school), or kōkō (高校) in short. High school in Japan covers grades 10 through 12. 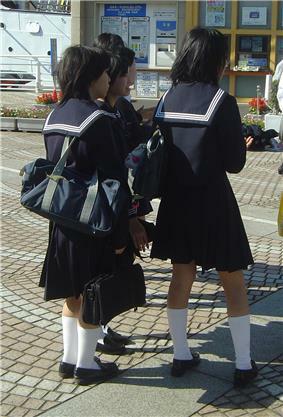 Although it is not mandatory, some 94% of Japanese people attend high school. The third year of high school in Japan is allotted for students to prepare for college exams known as "juken" (受験). Others may wish to settle for a job instead. High schools in Japan are referred to by MEXT as "upper secondary schools." 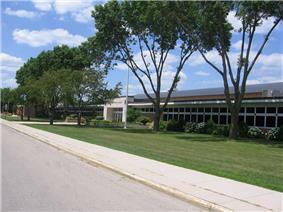 Most English-language newspapers and sources use the term "high school". Many school boards also use "high school"; for instance the Tokyo Metropolitan Government Board of Education uses "senior high school". Generally the high school students spent most of the time out of the home. Classes commonly end at 3 or 4. After that the students go for their club activities. In Mexico, the term "high school" usually corresponds to preparatoria or bachillerato, comprising grades 10–12, when the student is 15 to 18 years old. It may prepare the student with basic training for a job, and is the required step before enrolment into a college or university. High school students in New Zealand are taught a range of subjects. In year 9, the compulsory subjects are Mathematics, English, Physical Education, Social Studies, Science, and in some cases Māori (being the official language of some schools; such as Ngā Taiatea Wharekura.) as well as optional classes, such as Woodworking, Dance, Drama, Art, Graphics, Music, and a choice of languages, being mostly Māori, Spanish, French, German or Japanese, depending on the geographic location of the school and availability of teachers able to teach the respective subjects. High school (Norwegian: "Videregående Skole", English: "Continuational School") in Norway is education and training that lead to general university admissions certification or vocational competence. Nearly all Norwegian students enter high school the year they become 16, and it is their 11th year of education. High school is normally provided with three years in school or with two years in school and two years in an enterprise. General studies primarily emphasize theoretical knowledge and lead to general university admissions certification. If one chooses general studies courses, you can enter university after three years. Vocational education and training leads to an occupation and to vocational competence with or without a craft- or journeyman’s certificate. Choosing vocational education/training allows one to enter working life within 3–5 years. You also have an opportunity to take the supplementary programme for general university admissions certification. A craftsman's or journeyman’s certificate is normally the only qualification needed to work in one's chosen profession. Further education is provided through technical school, which gives a more technical education at an advanced level, but is not college. The Norwegian high school is not to be confused with høyskole (Scandinavian university college), an educational institution whose Norwegian name translates into "high-school". Whereas videregående skole provides secondary education, høyskole provides tertiary, and is in Norway similar to a university. 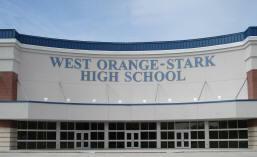 Generally, high school years usually have two semesters, starting in September and February. In some rural areas, operation may subject to agricultural cycles. Number of lessons offered by school on a weekly basis is very subjective, largely depends on the school's resource. In addition to normal lessons, periods for private study and extracurricular activity are provided as well. The academic curriculum consists of Chinese, Mathematics, English, Physics, Chemistry, Biology, Geography, History, Music, Fine Arts, PE, Technology, Computing etc. Some schools may also offer vocational subjects. Generally speaking, Chinese, Mathematics and English are considered to be the three main subjects as they will definitely be examined in Gaokao. In most provinces, students also need to be examined in either natural sciences, which incorporate Physics, Chemistry and Biology, or social sciences, which incorporate Geography, History and ideology & politics. Currently in high school, Physics is taught in 4th Year, but with the effect of the K—12 program, these subjects are connected and integrated from Grades 7 to 10 with the use of the spiral progression method in teaching. This will also be implemented on Mathematics. Incoming 4th Year students in high school this S.Y. 2014–2015 are exempted in this program. Secondary education, known as Ensino Secundário in Portugal, consists of the last three years of compulsory school. It follows the Ensino Básico (1st–9th grades). The secondary education certificates the qualification thus obtained and, in the case of work-oriented programmes, the qualification for specific jobs. It also serves to prepare students for the entrance exams to universities (private or public). In Romania, high school is commonly referred to as liceu (lyceum in English). The students usually enter the lyceum at the age of 14 or 15, and graduate when they're 18 or 19. In order to graduate and get a baccalaureate diploma, they must pass the BAC exam, and they must have fulfilled the four years (9–12) of post-secondary education. The high school diploma is enough to get a job in various domains. In Saudi Arabia, high school includes grade 10 through 12, consisting ages from 16 to 18. In Singapore, schooling for those in the age range of 13 to 16 takes place in a secondary school, in accordance with the British system in England and Wales. Certain schools are known as high schools such as the Dunman High School, Nanyang Girls' High School and Singapore American School. In Spain, after Elementary school, there is secondary school, which are grades 7 to 10. They are called 1º de la ESO, 2º de la ESO, 3º de la ESO and 4º de la ESO. ESO stands for "Educación Secundaria Obligatoria", which would be translated as Obligatory Secondary Education. What they call High School in Spain would be the "Bachillerato", which are grades 11 and 12. In these two grades there are common subjects to all the students, and the elective subjects which vary depending on the career you want to study in the university. The education is more specialized in different areas: there are the pure sciences, in which you take physics, chemistry and biology (for science careers). You can also choose technological sciences, in which the elective subjects are physics, chemistry, and technical drawing (for engineering careers and architecture and design), there is also humanities, which involve subjects such as economics and history. The fourth modality is pure letters, specialized in languages (philology careers), and the elective subjects are Greek and Latin. Lastly, you can choose arts, of which there are three different types, depending on the art: dancing, drawing, and drama. In South Korea, students from grades 10 through 12 attend high schools (referred to as high school 1st–3rd grade). Some subjects such as Korean, English, math, etc. are obligatory in high schools, while some other subjects are electives. High schools in South Korea may also have specialty subject tracks. For example, students who wish to follow science, foreign language, physical activity, or art tracks may choose to go to an academic science, foreign language, or other specialty high school (Hangul: 특수목적고등학교; RR: deuksu-mokjeok godeung hakgyo). These high schools are often hard to get into, especially science and foreign language, which creates competition to go to a good high school. Academic high schools in South Korea are known to have demanding courses and strict discipline. It is usual in South Korea that academic high schools open before 8:00 am starting with one-hour self-study and end around 11:00 pm due to about 5 additional (mandatory) hours of self-study time (Hangul: 자습). While U.S. President Barack Obama stated that U.S. schools could learn from how South Korean high schools are run, however some Korean people hold the high school education in Korea to be too competitive. General high schools in South Korea are called godgung hakgyo (고등학교; Hangul). According to the Swedish Education Act, all children and youths shall have equal access to education. The education shall “provide the learners with knowledge and, in co-operation with the homes, promote their discordant development into responsible human beings and members of the community.” In Sweden, attendance at school is compulsory for all children aged 7–16. The age when children may start school is malleable: a child can start school as a 6, 7 or 8-year-old. Compulsory school is absolutely free. Some of the country -- including the Isle of Wight, Northumberland and parts of southern England and the Midlands -- chooses a three-tier system, with the addition of a "middle" or "junior" (Years 5–8) school. In these areas, secondary schools are often unofficially referred to as "high schools" to avoid confusion as they are not the 'second' school. 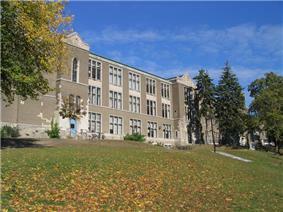 The term "tertiary" is never used to describe secondary or high schools in such areas. In Northern Ireland, a child serves seven years in primary school labelled as P1–P7. 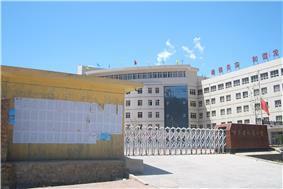 Secondary school or high school is compulsory for a further five years. This is called First Form to Fifth Form or Year 8 to Year 12. GCSEs are taken in Fifth Form (Year 12). Lower and Upper Sixth (Year 13 and Year 14) are then optional years in which A-Levels are taken. Instead of Lower Sixth, pupils can instead attend a technical college with vocational subjects on offer. Individual states, counties, and school districts have considerable leeway in how they choose to divide their school levels. Students will generally graduate from high school in the year of their 18th birthday if they were born between January 1 and August 31, but this varies by state depending on the kindergarten cut-off date, which ranges from August 1 in Missouri to January 1 in Connecticut. A few American schools still incorporate grades 7 through 12, but it is usually either grades 9–12 or grades 10–12. Some states split grades 9–10 and 11–12 into a junior high school and senior high school. For purposes of the Grade Point Average (GPA) and subject requirements used for college admission, grade 9 is usually considered the first year of high school regardless of whether the student is in the last year of a 7–9 junior high program, or the first year of a 9–12 high school program. ^ "9-year Compulsory Education". china.org.cn. Retrieved 22 January 2013. ^ Wang, Sibin. "A History of Rural, Economic, and Social Policies in China". Center for Social Development. Retrieved 22 January 2013. ^ "Obama praises S. Korea for education system". Yonhap News Agency. Retrieved 21 April 2013. ^ Kis, V. and E. Park (2012). A Skills beyond School Review of Korea, OECD Reviews of Vocational Education and Training. OECD Publishing. p. 29. Retrieved 21 April 2013.